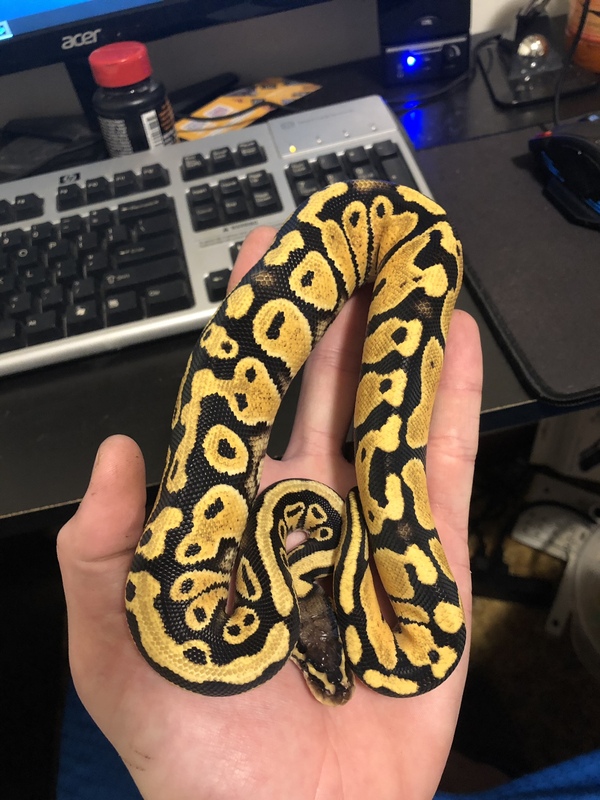 Hi bought this girl as a pastel. 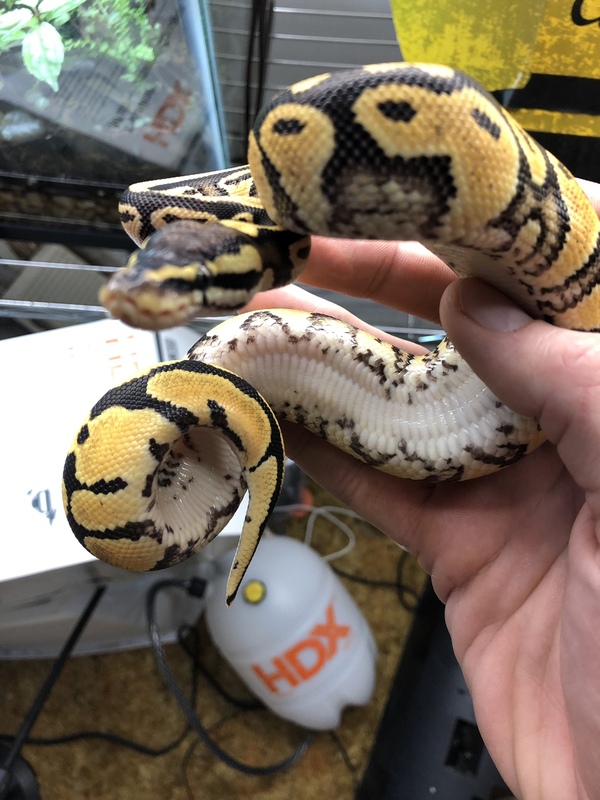 Parents are coral glow (sire) x super pastel pinstripe. 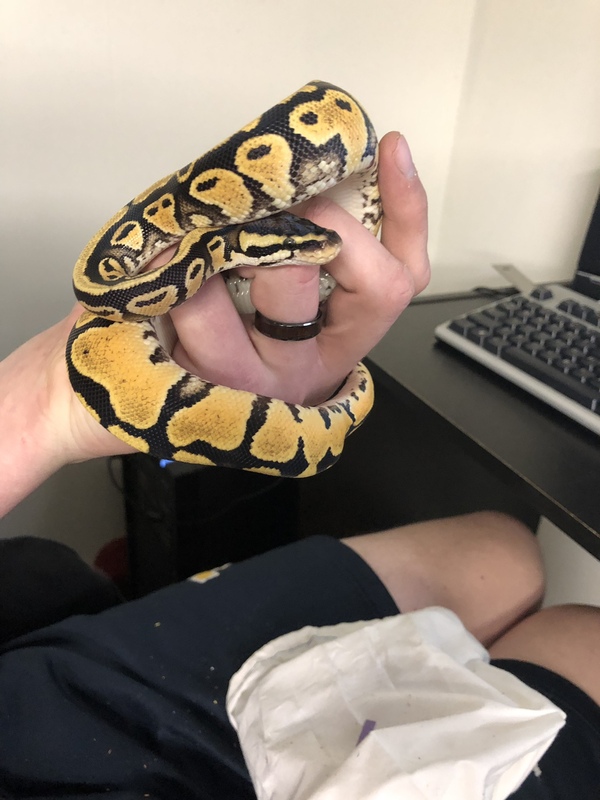 Her coloration is extremely yellow. Wondering if she’s just a great pastel or maybe something else expressing? 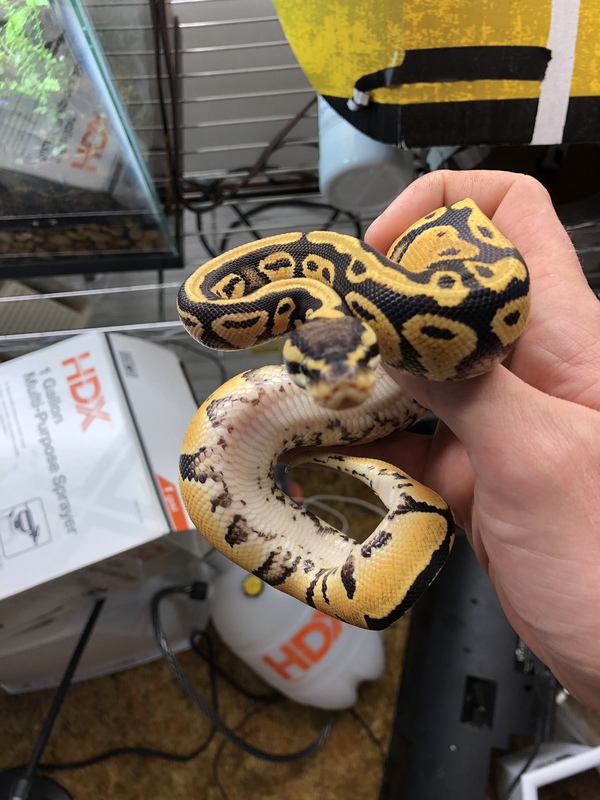 Can you show a picture of her belly to me I would say something else the breeder is not aware of or a really amazing example but I would like to see the belly first. 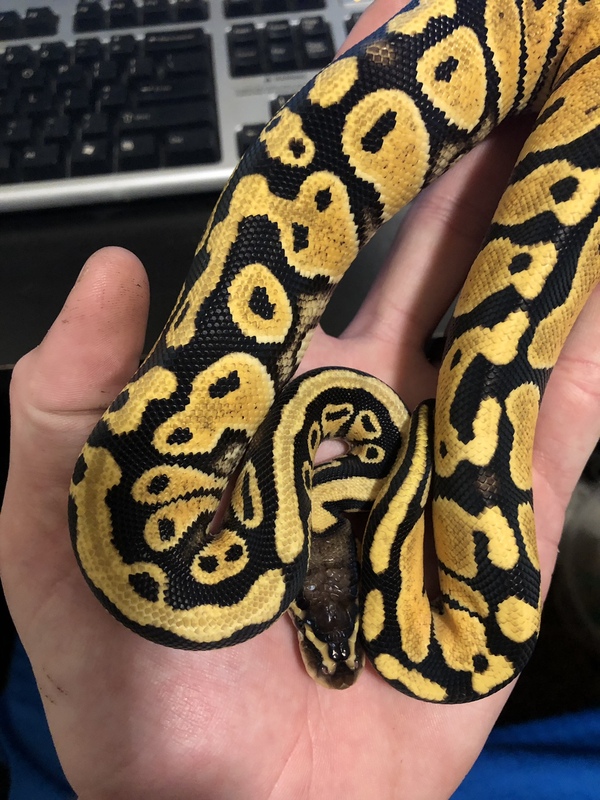 New to ball pythons (amphibian and crested geckos mostly) but the coloration is so bright yellow. I’ve not seen pastels with that intense of color. I will get more pics soon. She is still settling in and I don’t want to freak her out too much. Color is awesome! 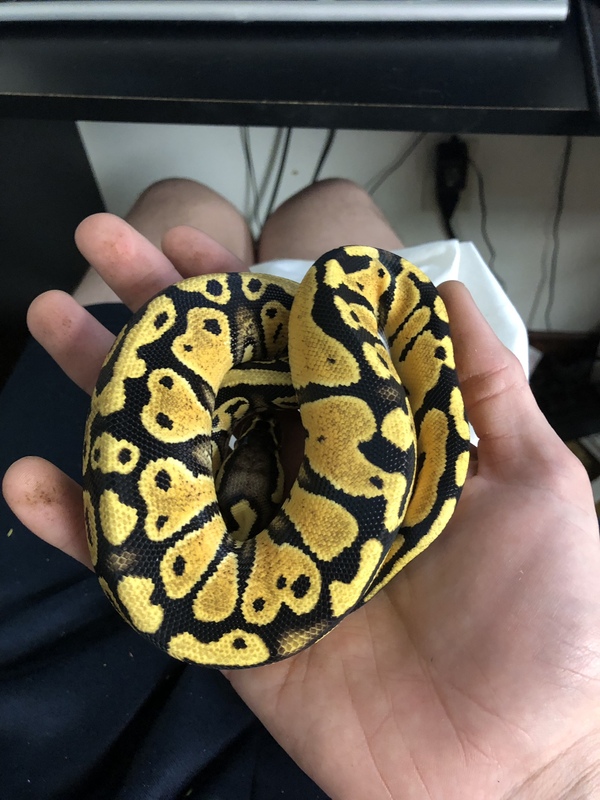 I've seen super brights in Pastel/Het Ultramel offspring in the past. Last edited by Lord Sorril; 04-06-2019 at 08:31 PM. Thing is so sharp looking it almost reminds me of desert ghost x pastel. She’s very vibrant! Still not convinced she is just pastel.